LOCATION.--Lat 42°02'07", long 75°48'11" referenced to North American Datum of 1983, Broome County, NY, Hydrologic Unit 02050101, on left bank at abutment of former highway bridge, 500 ft upstream from bridge on County Highway 20 at Conklin, 0.7 mi downstream from Little Snake Creek, and 3.5 mi downstream from Pennsylvania-New York State line. REVISIONS HISTORY.--WSP 1672: 1918 (P). WSP 2103: Drainage area. WDR NY-81-3: 1918 (P). GAGE.--Water-stage recorder. 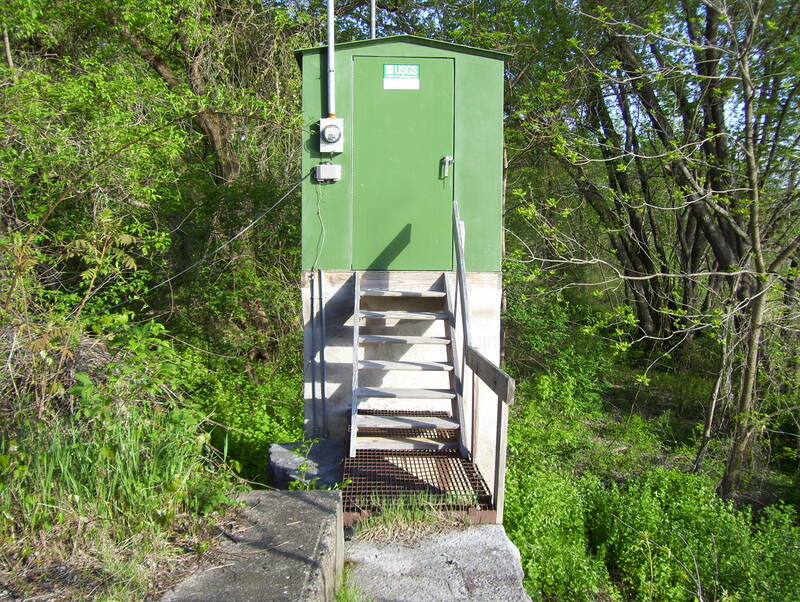 Datum of gage is 841.04 ft above NGVD of 1929 and 840.52 above NAVD of 1988 (VERTCON). Prior to Oct. 4, 1914, nonrecording gage at same site and datum. EXTREMES FOR PERIOD OF RECORD.--Maximum discharge, 76,800 ft³/s, June 28, 2006, gage height, 25.02 ft; minimum discharge, 85 ft³/s, Oct. 14, 1964, gage height 1.30 ft.
PERIOD OF DAILY RECORD1.-- WATER TEMPERATURE: May 2012 to June 2014. SPECIFIC CONDUCTANCE: May 2012 to June 2014. WATER TEMPERATURE: Maximum, 24.3°C, July 19, 2013; minimum, 0.0°C, on many days during winter period. SPECIFIC CONDUCTANCE: Maximum, 361 uS/cm @ 25°C, July 21, 2013, and Aug. 25, 2013; minimum, 127 uS/cm @ 25°C, June 29, 2013.